As part of Liverpool Provocations, Metal presents BIG MOUTH, by MEYOUANDUS. 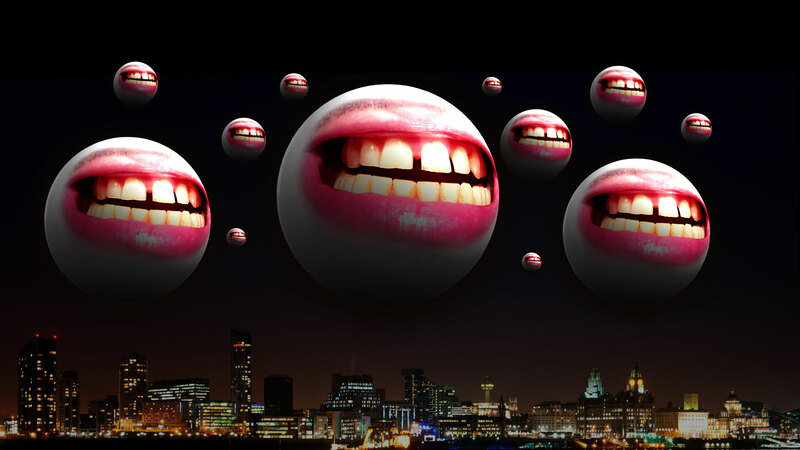 Each evening from 18th January, an illuminated orb will appear in central Liverpool, within which a human mouth appears to silently repeat and absorb the deepest thoughts and secrets of the public. Big Mouth, a mobile installation, aims to tempt participants to speak in confidence away from the superficial veneer of social dialogue. The thoughts are then displayed on the 360° projection, before being transformed into demons, carrying the negative burden of harboured truths away into another world. MEYOUANDUS specialise in technically complex public arts projects using state of the art technologies to enhance artistic and human exchange in public spaces. Big Mouth will appear on and around Church Street in Liverpool City Centre from 4pm each day.